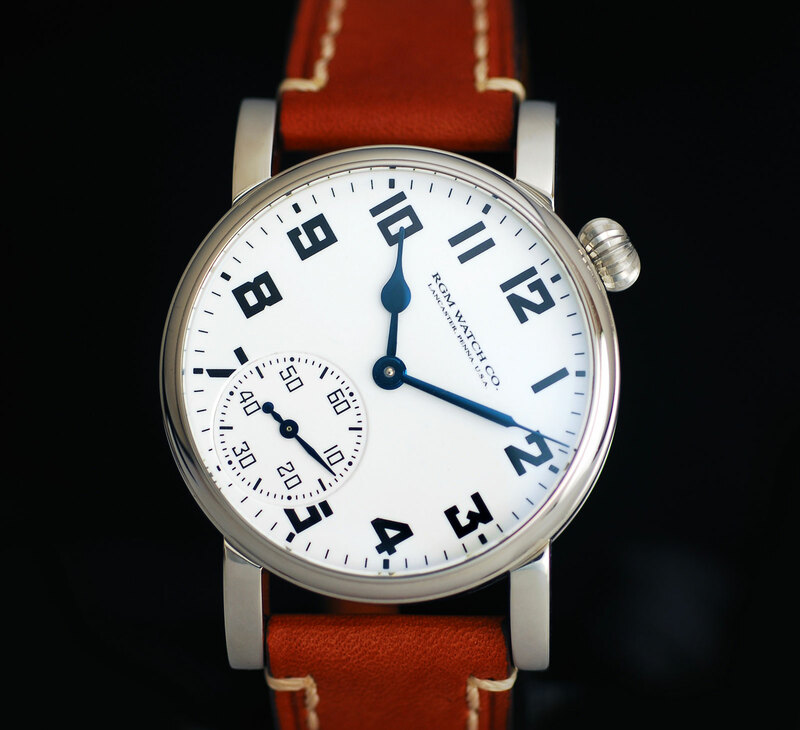 A "Grand Feu" enamel dial and a driver's style layout. The RGM Model 222-RR is a blend of two historical timepieces, the driver’s watch and railroad pocket watch. 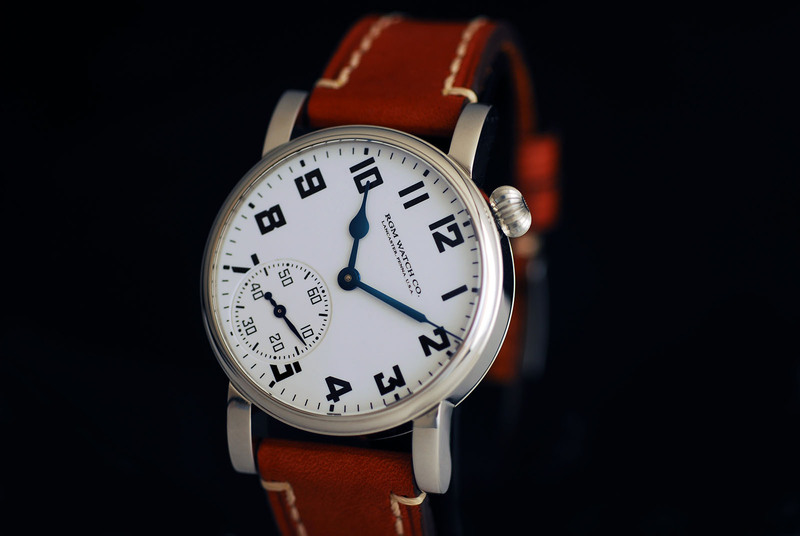 Created to mark the 25th anniversary of the American watchmaker named after its founder Roland G. Murphy, the Model 222-RR has its dial aligned 45 degrees from the vertical like driver’s watches of old (and much like the Vacheron Constantin American 1921), a feature meant to improve legibility with hands on a steering wheel. While the unusual dial position is synonymous with a driver’s watch, the dial design is modelled on railroad watches, precision pocket watches made for railway engineers and conductors in the United States starting in the 1890s. 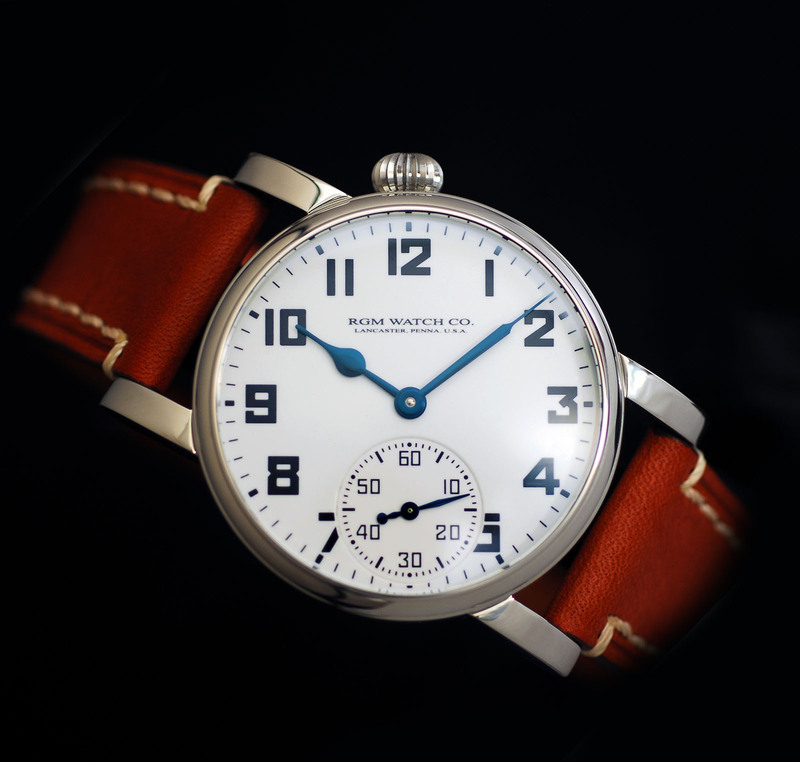 Made of fired vitreous enamel, the clean dial with heavy, sans-serif Arabic numerals and blued steel spade hands takes its cues from what is now generically known as a “boxcar” dial, after the trade name coined by the Ball Watch Co. The vast majority of railroad watches were made by now defunct American watchmakers like Waltham, Elgin, Hamilton and Illinois, though some were also made in Switzerland, making the railroad watch a distinctly American timekeeper. 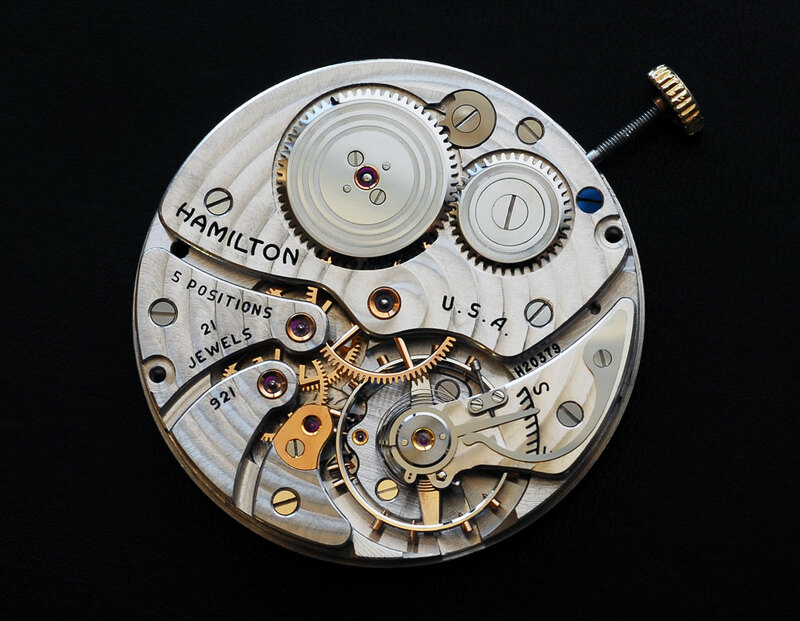 Appropriately the Model 222-RR is powered by a restored Hamilton cal. 921 or 923, pocket watch movements from the early 20th century that would likely have originally been found in railroad watches. The cal. 921 has 21-jewels and was produced in larger numbers than the cal. 923, which has 23-jewels and a slightly higher level of decoration. It’s estimated less than 4000 of the cal. 923 were made. The somewhat generically shaped steel case is 41mm with a screw-down back and onion-shaped crown. The Model 222-RR with a cal. 921 is priced at US$5900, while the same with a cal. 923 costs US$7900. Powered by a Swiss-made ETA movement, the Pilomatic is put together in Chicago and costs under US$1000.